“The Deception of Reality” is the featured album at StillStream for the month of February 2013! Our thanks to StillStream for supporting this great ambient artist! Numina’s latest, The Deception of Reality, made the Oct 2012 airplay top 20 list for WVKR Radio’s Secret Music show. Thanks to host Scott Raymond for all the airplay! 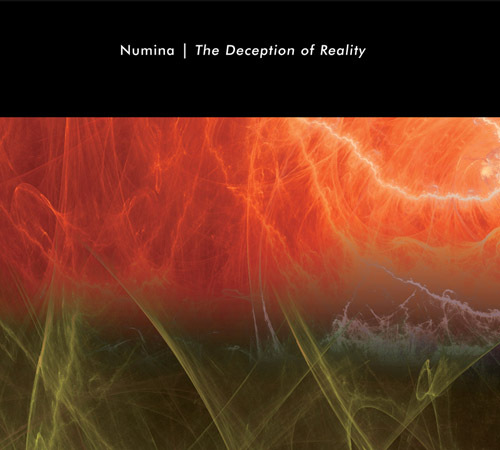 Here’s a nice new review of Numina’s latest on Hypnos, The Deception of Reality. The review is written by Bert Strolenberg for the Sonic Immersion review site. “From the labels notes on Jesse Sola’s concept release “The Deception of Reality” I learned it’s about introspective escapism while balancing light and dark themes, with the music transporting the listener to wherever they wish the music to take them. Jesse’s previous two albums already opened the doorway to a much deeper and darker-flavoured sonic environment, something that nicely continues on the five lengthy, uninterrupted pieces on this 75-minute album. We’re talking about spacious, slighty melodic but overall expansive soundscapes here that venture into alternate realities with lots of mystic caverns and longform dwellings into the vast unknown. Besides occasional undercurrents of mourning and melancholy, Numina’s expressive, constantly evolving and overall emotive textures paints beautiful pictures, all fitting in a grand, transparent design. I though can imagine the drifting flow making up the rather Roach-oriented 19-minute “Empire of Nothing” may be a bit too minimal for some. Fortunately, the smooth, warm and dreamy waves of the final track “Translunary Return” again pull things in a different direction. Our thanks to Bert for this review. Buy the CD for $12.99, or read more, or hear clips. The latest Secret Music playlist from WVKR radio includes airplay of a track from Numina’s latest. Thanks to host Scott Raymond for featuring this. Here’s my playlist for Sunday, October 14, 2012. Enjoy! Another monthly Top 20 airplay list featuring Numina’s latest – from yet another of our favorite radio shows of all time, Star’s End in Philadelphia, hosted by Chuck van Zyl.